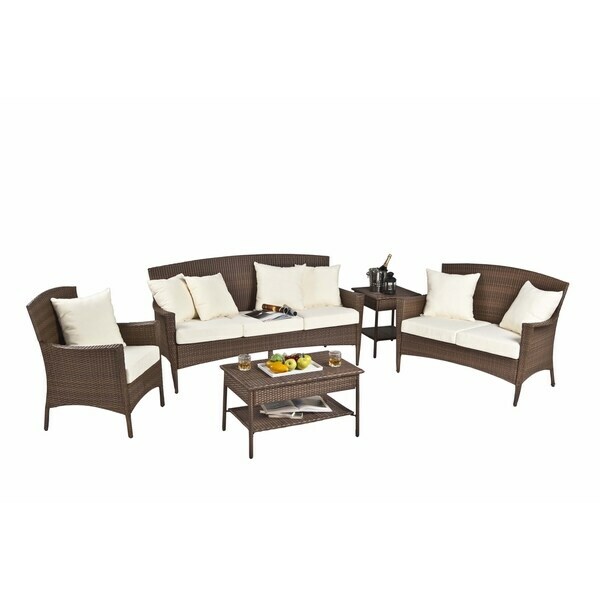 Create a cozy place outdoors for your whole family to relax with this five-piece set from Panama Jack. The sophisticated antique-brown finish is protected from UV rays and is water resistant. This woven seating group will add comfort and style to any patio area. Assembly required. This product ships in five (5) boxes.